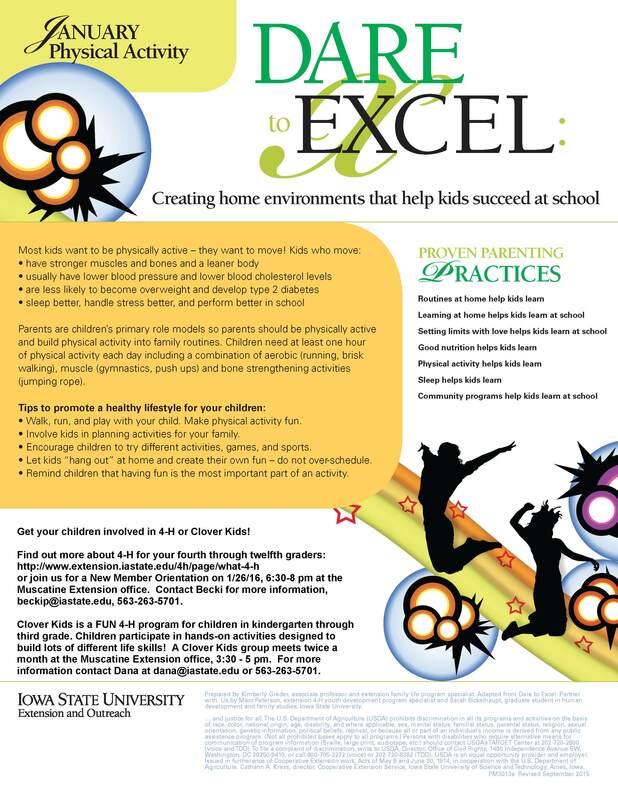 Building physical activity into family routines makes it easier to get junior off the couch, says Barb Dunn Swanson, Iowa State University Extension and Outreach Family Life Specialist. “Most kids want to move and they look to you as a role model. So get moving together, whether playing outside, cleaning the house or dancing in the living room,” Dunn Swanson said. Children need at least one hour of physical activity each day, including aerobic activities such as running or brisk walking, muscle building activities such as gymnastics or push ups and bone strengthening activities such as jumping rope. “Kids who are physically active have stronger muscles and bones and a leaner body and usually have lower blood pressure and blood cholesterol levels. They’re less likely to become overweight and develop type 2 diabetes. They also sleep better, handle stress better and perform better in school,” Dunn Swanson said. 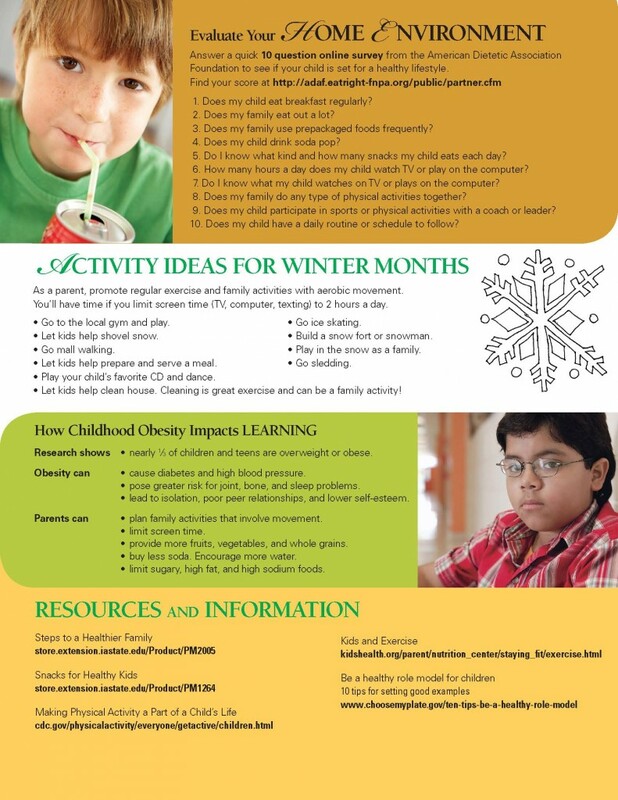 Learn more about how parents can help kids stay active and eat healthfully during the winter in the January issue of the Dare to Excel newsletter.